* A Super Mario-like game, you will enjoy the game if you love Mario. * This game will remind you of mario bros, one of the best old-school games ever! * Enjoy the fun of one of the best platform games ever. * Super Jario World this fun and amazing adventure game is better than ever and will surely be what you are looking for. * Run around 3 different worlds and several kind of scenarios and gather as many coins as you can. 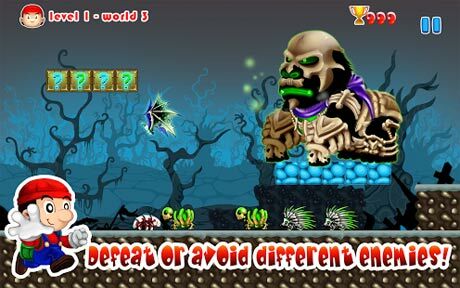 * Like side scrolling adventure that will rock you through 30 levels of challenging running and jumping. * This retro-gaming classic will turn your Super Jario World – loving heart on end! 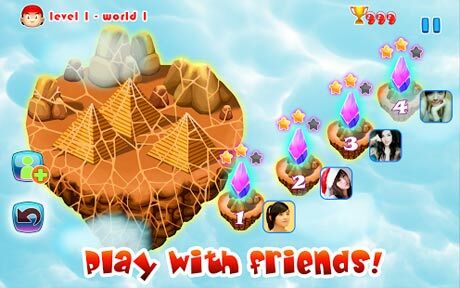 * Avoid different enemies and get more coins to get more scores, beat your friends highscore. – To play you simple touch the screen to jump and touch quickly twice to double jump. – Tap the buttons to move left, right, jump and shoot. – Jump on the top to crash the enemies. – Collect ice-cream to shoot. – Collect coins for high score. – 3 different beautiful and magical landscapes world themes. – 30 awesome levels to play, will update more soon. – Different enemies to defeat. – Great sounds and wonderful high-resolution graphics. – Simple and fun game-play like Super Mario classic. 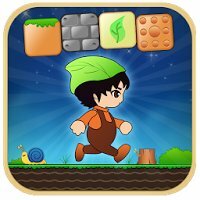 – Classic runner game style. 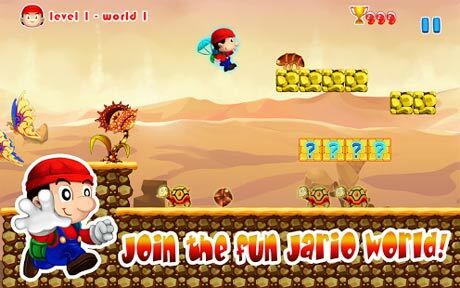 Download Super Jario World now and start playing this amazing game!